Forget seeing double - this ring makes your collection thrice as nice. 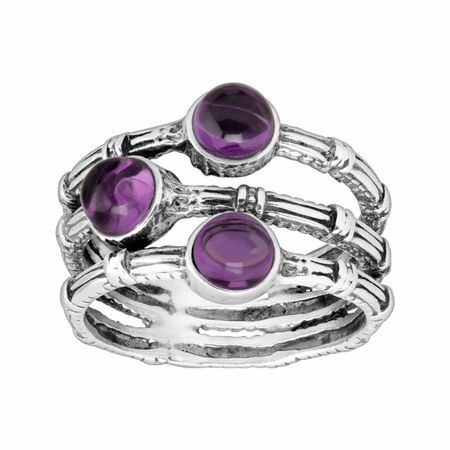 Natural amethysts are dotted along a ribbed, multi-band ring crafted in quality sterling silver. Ring face measures 9/16 inches in width. Piece comes with a “.925” sterling silver stamp as a symbol of guaranteed product quality.